New Water and Sanitation Minister Gugile Nkwinti will get a rude awakening when he walks into his new office to find that the department has collapsed, its finances are in tatters, it’s hundreds of millions of rands in the red, there’s deeply embedded corruption, a pile of unpaid invoices running into billions and a skittish workforce. Nkwinti will walk into a department that is in total disarray and should have been placed under administration many moons ago. But for obvious reasons, former president Jacob Zuma did not invoke Section 100 of the Constitution, which makes provisions for the Cabinet to intervene in the administration of troubled national and provincial departments. The person responsible for the collapse of the department of water and sanitation is none other than Nomvula “Mama Action” Mokonyane, whom President Cyril Ramaphosa this week appointed as minister of communications. Zuma’s appointment of Mokonyane as minister after the general election in 2014 set off a perilous period which saw the tremendous decline in investment in capital projects, the systematic destabilisation of water boards and the departure of key and senior personnel. While this journalist was writing this column yesterday, the Standing Committee on Public Accounts (Scopa) and the parliamentary committee on water and sanitation announced a full inquiry into maladministration and alleged corruption in the department. Scopa chairman Themba Godi reportedly told MPs that water and sanitation had “ceased to function like a normal department,” adding that “that department has effectively been destroyed”. But there was nothing new in Godi’s statements. Senior bureaucrats in the department have been calling for it to be placed under administration for more than a year. Exactly a year ago City Press reported that the department had racked up an overdraft in excess of R2.6 billion and had accumulated unpaid invoices worth R1.7 billion. The report was but one in a series dubbed “Watergate”, which exposed how Mokonyane’s ruinous leadership had caused the department to collapse. City Press had also revealed how Mokonyane had outsourced the running of the department to Central Energy Fund chairperson Luvo Makasi. Makasi has repeatedly denied the claim. One of the key reasons why the department went bankrupt was because Mokonyane and her officials had embarked on a series of costly vanity projects. One such project was the 2016 acquisition of a R1 billion SAP IT system, for the department and water boards across the country. Officials claim that water boards didn’t need the IT system as they had their own, which they were paying for. The department also spent over R1 billion on another vanity project called “War on Leaks”, in which it trained and paid young people to repair and fix water leaks. War on Leaks has now collapsed and many of the young people have not been paid for months. Mokonyane had also spent hundreds of millions on leasing trucks to cart water to communities affected by drought and to conduct water-related outreach programmes. There was nothing inherently unorthodox about these programmes, but they happened at the expense of capital projects – the provision of bulk water infrastructure. Parliament will not be the first to investigate Mokonyane. In April 2016 Zuma had ordered the Special Investigating Unit to probe how LTE, a firm of consulting engineers, had received multi-million rand water and sanitation projects from Mokonyane. In 2014, Mokonyane had awarded the company a R502 million tender in Giyani, Limpopo. The project later ballooned to R2.7 billion. The department incurred hundreds of millions in irregular and unauthorized expenditure as a result of the project. Six months earlier, the company had scored a R200 million contract it had not tendered for, in Sweetwaters, South of Johannesburg. In 2016, City Press had also exposed elaborate tactics by Mokonyane to capture the R26 billion binational Lesotho Highlands Water Project. The report revealed how Mokonyane allegedly delayed the critical project in an effort to ensure LTE and other politically connected businesses secured cuts in the mega contracts in Lesotho. Mokonyane’s calamitous tenure brought with it untold chaos for a number of water boards. In September last year asset manager Future Growth accused Mokonyane of destabilising Umgeni Water, and threatened to withdraw bonds from the water utility. In July last year, City Press had reported that in an effort to influence tenders, Mokonyane had seized power at Umgeni by dissolving the board and ordering former chief executive Cyril Gamede’s contract not be renewed. Future Growth had accused Mokonyane of misleading the public on why she had disbanded the Umgeni board, appointed an official as both the utility’s chief executive and accounting officer, appointed the company’s audit committee and arrogated to herself powers to axe and appoint a new chief executive. Future Growth pointed out that all of Mokonyane actions were illegal, and flouted the Public Finance Management Act. Currently, Umgeni has an acting board, chief executive and chief financial officer. Mokonyane’s meddling at Umgeni was preceded by similar action at Mhlathuze Water, also in KwaZulu-Natal. Mhlathuze also had an acting chief executive after former chairperson Dudu Myeni suspended chief executive Sibusiso Makhanya in 2015. Makhanya successfully challenged his suspension in court, arguing that the board that suspended him was illegally constituted by Mokonyane. Makhanya is now fighting Mokonyane’s decision to incorporate Mhlathuze into Umgeni. 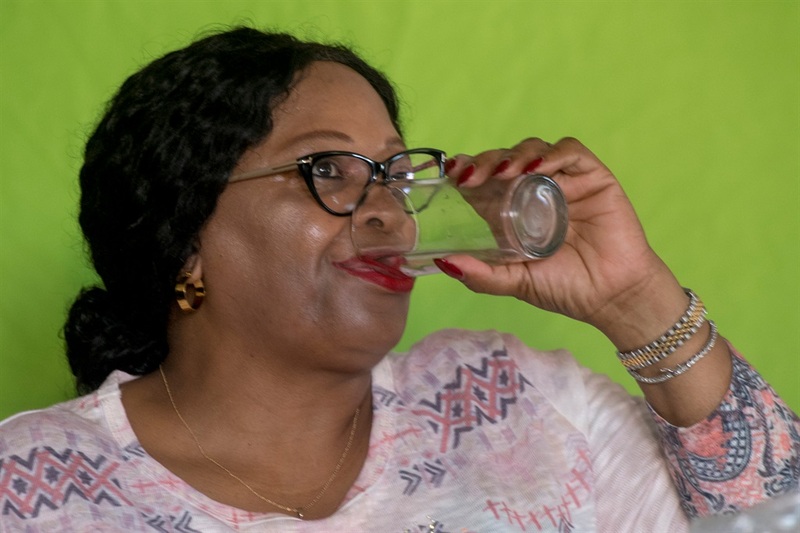 In June last year Mokonyane had axed the Overberg Water’s board and chief executive Nthabiseng Fundakubi, accusing them of irregularities. Sedibeng Water’s chief executive Rembuluwani Takalani is also on suspension. Last year also saw the departure of Eastern Cape’s Amatola Water’s chief executive Lefadi Makibinyane and chief financial officer Kevin Govindsamy, who were axed after being fingered in corruption. In the four years that she was in the department, Mokonyane also got rid of two director-generals: Margaret-Ann Diedericks and Gorbachev Mashitisho. Other senior executives, such as former communications deputy director-general Matlakala Motloung, chief of staff Colin Pitso, legal services chief director Puseletso Luselo and chief financial officier Mpho Mofokeng left.